Science gets the age of rocks, and religion the rock of ages; science studies how the heavens go, religion how we go to heaven. This entry was posted in Science & Technology and tagged American Jews, American Philosophical Society, Balliol College, Biochemistry, Brooklyn, Cancer, Columbia University, Hepatitis B, Library of Congress, Medicine, NASA, Nobel Prize, Orthodox Jews, Oxford, Talmud, Torah, Union College, University of Pennsylvania, US Navy, World War II on September 20, 2018 by Jew of the Week. 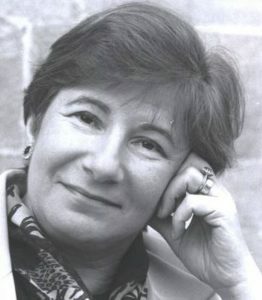 Ruth Lynn Fraenkel (b. 1943) was born in London to Jewish-Polish refugees who fled the Nazis. She studied law at Oxford University’s prestigious St. Anne’s College, and there met her future husband John Deech. After getting her MA, she briefly taught law at Windsor University in Canada, then returned to St. Anne’s and taught there for two decades before being elected its principal in 1991. As a specialist in family law and bioethics, she also headed Oxford’s Health Authority, and eventually became the governor of the UK Department of Health’s Human Fertilisation and Embryology Authority (HFEA). The HFEA regulates fertility treatments, in-vitro fertilization, and embryological research across the UK. As its governor, Deech made some difficult and controversial decisions, including one case where a woman was forbidden from having a baby with her dead husband’s frozen sperm. She also fought against the decision to allow birth certificates not to name a father, stating “I regret the downgrading of the father as a person of importance – the legislative dismissal of the contribution of half the population to the upbringing of the next generation” and that “Tolerance of both types of parenting has to be ensured.” In 2002, Deech was knighted as a Dame Commander of the Order of the British Empire. That same year she was appointed governor of the BBC. Following this role, she was made a life peer of the House of Lords, and given the title Baroness Deech of Cumnor. At the same time, she served as the chairman of the Bar Standards Board, which regulates lawyers across England and Wales, and sat on the Jewish Leadership Council. 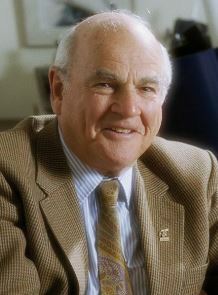 Deech remains one of the world’s most renowned academics and ethicists. Oxford University recently named one of its buildings after her, and she was once ranked on “The God List” of the fifty most influential “people of faith” in Britain. She also regularly stands up for the Jewish community, and for Israel – at Oxford, in the House of Lords, and on the international stage. Someday, when history will be written, it will be said there was a Jewish woman who got the money to make the State possible. – David Ben-Gurion on Golda Meir’s successful 1948 trip to the US to raise money for the nascent State of Israel. She raised $55 million, vital to Israel’s Independence War effort. This entry was posted in Law, Politics & Military, Writers & Thinkers and tagged Baroness, Bioethics, British Jews, Commander of the Order of the British Empire, Family Law, HFEA, House of Lords, Jewish Knight, Law School, Life Peer, Oxford, Polish Jews, St. Anne's College, Windsor University on April 5, 2018 by Jew of the Week.